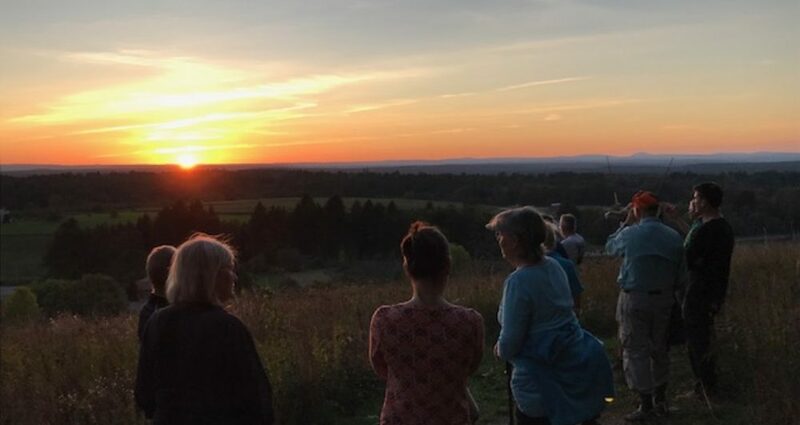 Tom Wessels returns to Groton to lead a walk for the GCT, Friday, November 23, 2018, as part of our #optoutside programming. Wessels, author of Reading the Forested Landscape and other books, has a gift for understanding the clues to our woodlands’ past. Grounded on years of natural history study and experience, his work continues the legacy of another New England naturalist, Henry David Thoreau. 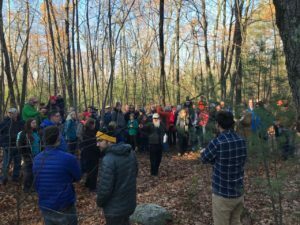 GCT member Mary Metzger wrote this tribute on Thoreau’s 200 birthday in 2017. Tom Wessel’s visit to Groton in November 2017. 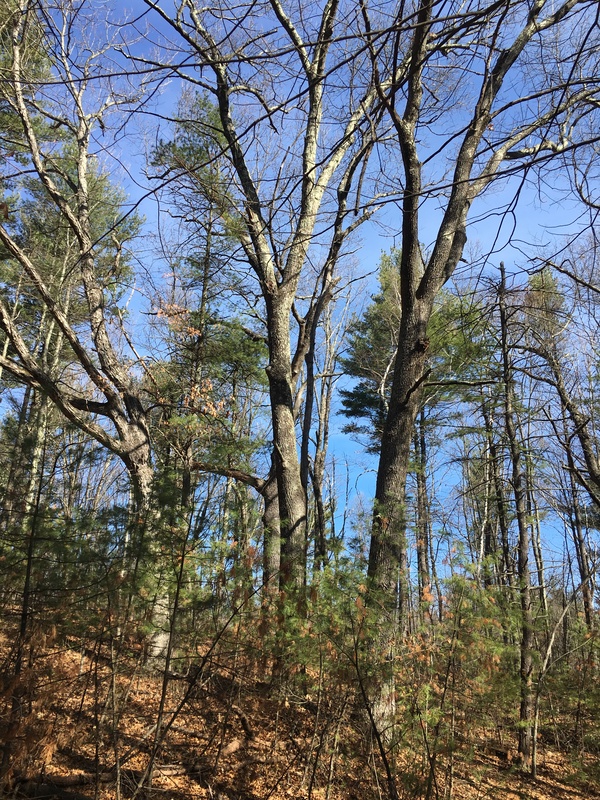 Thoreau coined the concept “The Succession of Forest Trees” in a talk he gave to the Middlesex Agricultural Society’s Fair in Concord, September, 1860. Well received, the address “so plain and practical” was praised by the President of the Society, then former governor of Massachusetts, Groton resident George S. Boutwell. Google image from Wide Open Eats. He could be cantankerous, unsocial, and quite eager to share his odd opinions. And there was all that walking in the woods. “I spend four hours a day at least—and it is commonly more than that—sauntering through the woods and over the hills and fields absolutely free from all worldly engagements,” Thoreau wrote in his journal. John Brown came twice to Concord to raise funds for arming his prairie troops fighting for a Free Kansas. Thoreau, like other abolitionists in Concord, saw the charismatic figure as a hero for acting on his principles. In October, 1859, John Brown attempted to provoke a slave uprising by attacking the Federal Armory in Harpers Ferry, Virginia. He failed, and his capture, trial, and death sentence pushed Thoreau into radical activism. Without Town leaders’ permission, even ringing the town bells himself, he gave a passionate speech on John Brown’s character and actions to the Concord community, defending Brown’s use of violence to achieve his ends. He repeated the address two days later before 3,000 people in Boston, filling in for Frederick Douglas, who had fled the country. He helped one of John Brown’s Secret Six conspirators escape and on December 2, the day of the execution, he celebrated John Brown as a martyr equal to Christ. But, though the whole country was caught up in an increasing rancorous debate over slavery and disunion, the abolitionist viewpoint was hardly mainstream, even in Concord. Concord farmers wanted information on how to manage their deteriorating wood-lots. 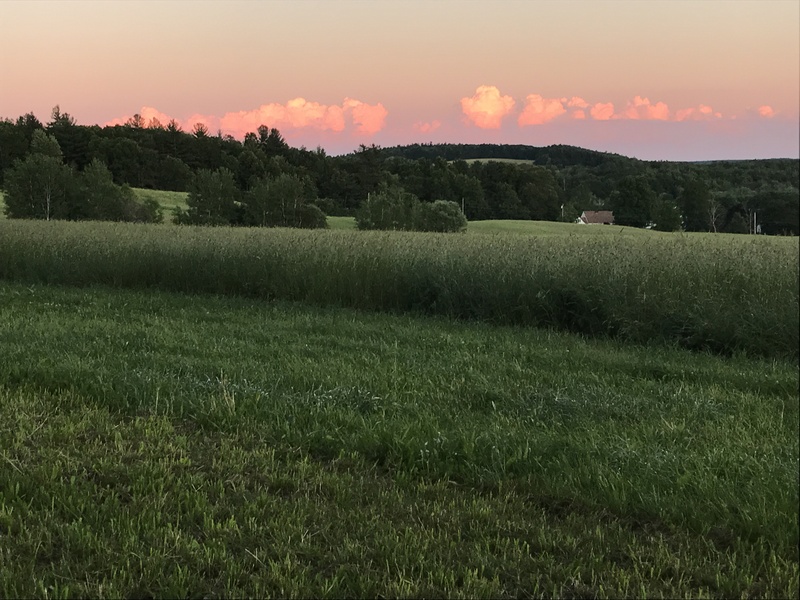 More than three-fourths of New England’s forests had been converted to pastures by the 1840’s in what Wessells has described as “sheep fever.” The smuggled introduction of Merino sheep had led to a lucrative agricultural bubble which had left the land denuded. How do you make a forest regrow? 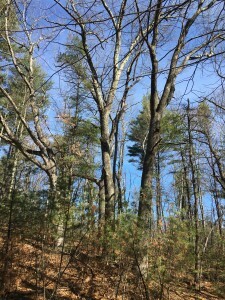 Especially in New England where oaks often followed pines, or vice versa? No one could look across generations to see how a forest was made. Prevailing common and academic thought proposed that some life could spring up spontaneously, a mystical act of the Creator in every little pond and field. But Thoreau thought his observations pointed to a definite natural mechanism that always involved seeds. He found verification of his conclusions from a new source. 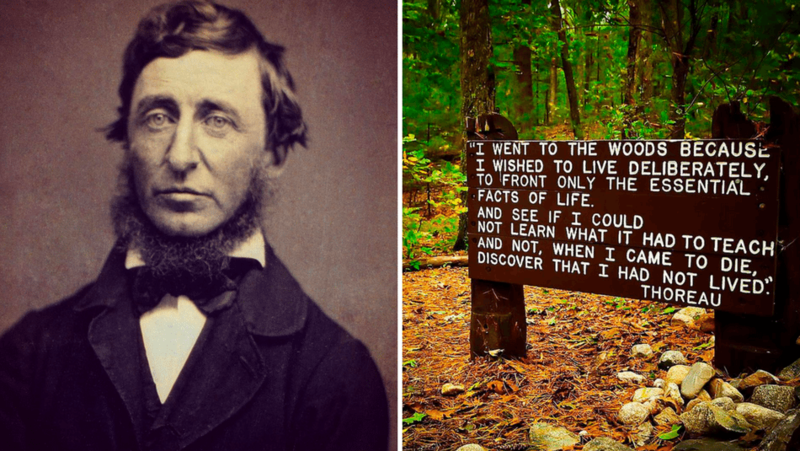 For Thoreau, it turns out, had not been just the aimless walking poet. He had also become a scientist, filling thousands of notebook pages with observations of natural phenomena, creating lists of all kinds of natural schedules. He was the nation’s first ecologist, looking at the parts of nature to understand its whole. Though he didn’t believe in these new ideas, Horace Greeley printed Thoreau’s address in the New-York Weekly Tribune. 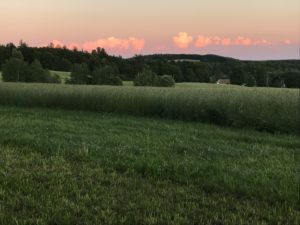 It became the most published piece of Thoreau’s writings in his lifetime, and furnished further debate on an unsettling idea derived from Darwin’s book. If all life came from life before, then all human races must be related, a concept even many abolitionists could not countenance at the time. 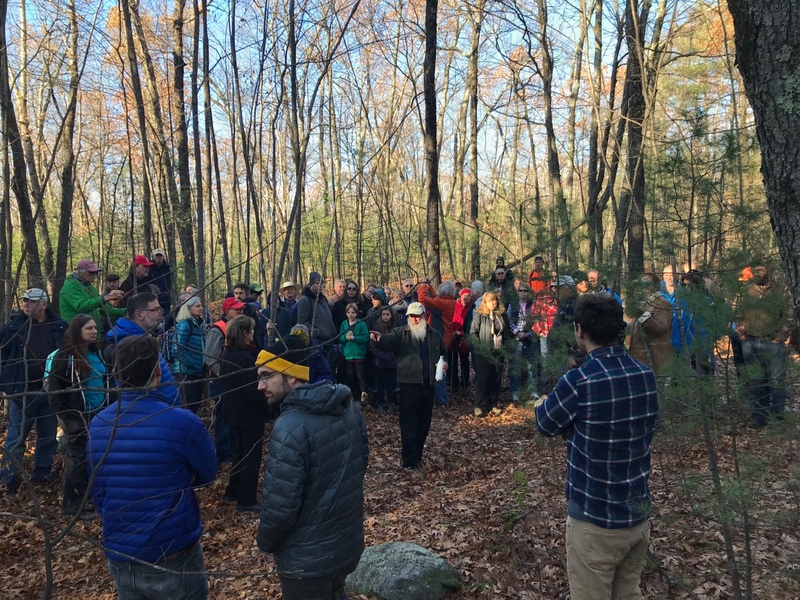 In the months after the talk, Thoreau was busy expanding his research in the woods, trying to find further evidence for material he was hoping to work into a new book The Dispersion of Seeds. On December 3 he was out in the rain measuring old tree stumps, the forest’s own record of its past. The day before, he had met with Bronson Alcott, who had a cold, to help plan a memorial service for John Brown. Thoreau caught the cold which was probably influenza, and the dormant tuberculosis that he had carried his whole adult life began to take its final hold. There was no walking or journal writing for him that bedfast winter. By February 1861, seven southern states had seceded. 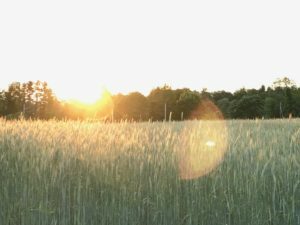 Thoreau decided to try the common 19th century travel cure to restore his health. He went West with Horace Mann, Jr to Minnesota, fulfilling a life-long dream to see the area. But when he returned, his cough was no better. The nation had moved on to Civil War. Domestic terrorism, civil conflict, racism, economic uncertainty, the acceptance of science, finding a balance to preserve the woods for nature and our own needs: the challenges in Thoreau’s world continue today. Walk off that Thanksgiving feast and find a group at #Optoutside. Join up with those still trying to enjoy, understand, and save a piece of our natural heritage.